This entry was posted on November 7, 2018 by Van Rental. Europcar now has Vauxhall Vivaro Sportive vans for hire. Customers of van hire giant Europcar can now choose to rent a high-specification Vauxhall Vivaro Sportive van. These generously-equipped vans have been added to the firm’s fleet as part of an upgrade aimed at attracting drivers who need a mobile office space, not just a load carrier. The middle seat of the Vivaro Sportive can be folded flat to form a desk large enough for a laptop or paperwork. It’s an ideal choice for van drivers who also manage sales on the move or have complex paperwork to handle. 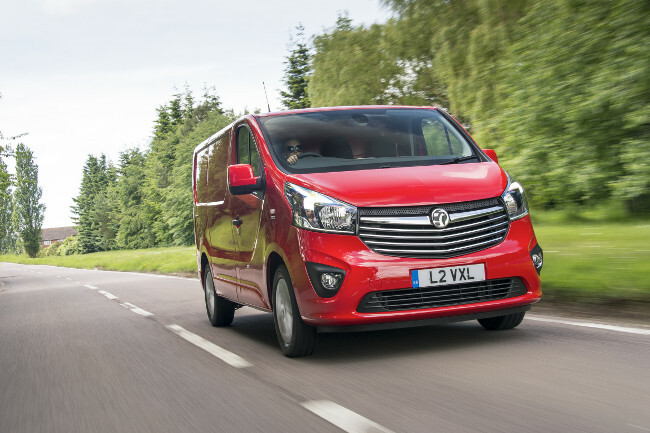 “Adding the Vauxhall Vivaro Sportive to our fleet shows our commitment to reviewing and upgrading our offering to meet the constantly evolving demands of UK businesses”, explained Stuart Russell, Director Commercial Vehicles, Europcar Mobility Group in the UK. 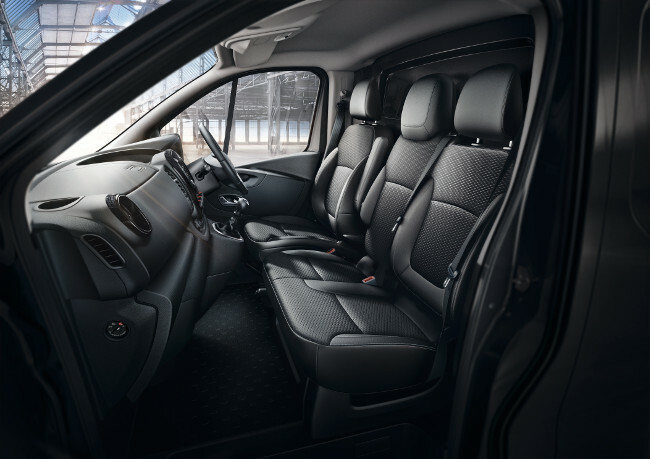 Other treats in-store for Vivaro Sportive drivers include a leather-covered steering wheel, cruise control and rear parking sensors. All popular extras that make life easier or more comfortable for regular drivers. As a result of PSA Group’s acquisition of Opel/Vauxhall, the current model is due to be replaced by a new Vivaro based on a PSA (Peugeot/Citroen) vehicle platform in 2019. I suspect the introduction of the Sportive to Europcar’s fleet may also be due to the fact that the current model Vivaro is now in run-out mode. Manufacturers tend to offer good deals on high-spec vehicles when a model is nearing replacement as a way of boosting sales. And high-spec models like the Sportive are likely to have stronger resale value when the time comes for Europcar to move them on. The good news is that the new PSA-based Vivaro will still be built at Vauxhall’s Luton plant, preserving its Made in Britain status. Indeed, PSA plans to upgrade the Luton factory to increase production capacity from 60,000 to 100,000 vans per year.